Behind a cute little fluffy creature, squirrels can cause problems for some homeowners. Squirrels eat and ruin bird feeders, and they will eat nuts and fruit from trees. They can eat from home made gardens and ruin vegetable and fruit plants. Not only can squirrels keep gardens in disarray, but they can also enter our homes and invade attics. There is an answer to these pesky creatures. 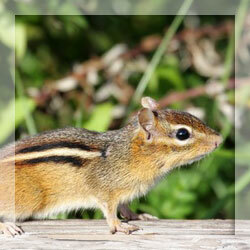 Squirrel repellents can be used to deter and rid our private areas from pests. Custom made traps are a good, humane squirrel repellent. They are a non-toxic way of encasing and ridding squirrels from attics or outside areas such as gardens or trees. The live traps used as squirrel repellants can be hung from trees or placed in areas where squirrels inhabit. Place peanut butter or bread inside the trap to lure the squirrel into the trap. Once the squirrel enters the trap, it will close encasing the squirrel without harming it. The animal can then be transported to a different area away from your home. Organic methods of squirrel repellent are the use of hot red peppers, chili peppers, or cayenne spice. Other spices such as black pepper or lemon juice can be spread in areas to deter squirrels. Placing these spicy ingredients on bird feeders or places where squirrels frequent will keep them away. The hot spices when ingested by squirrels will keep them from returning. If squirrels are bothering your flowers or vegetables, consider another organic method of squirrel repellent. Using urine from natural predators of squirrels will give warning for them to stay away. Using urine from a fox, bobcat, or coyote will keep squirrels from eating your vegetation. The urine is condensed into small pellets that can be spread around the garden or trees to rid the area of unwanted squirrels. Other ways of keeping squirrels away is wired fencing around your gardens. Covering your gardens with proper wire fencing will keep squirrels away as well as other pesky animals. Wire meshing is also a safe and humane way to keep animals away without any kind of traps or organic material. One thing to consider when deciding on squirrel repellents is to never use any kinds of poisons. Exposing poison to natural wildlife habitats is illegal in some regions. Other animals such as hawks or predators can feed on the poison as well, and it can be a dangerous way to kill natural wildlife while trying to rid your area of squirrels. In addition, your pets or children can be exposed to open poison which can be lethal to them as well. Squirrel repellents can be an effective way to rid squirrels from your garden, home, or tree areas. Make sure to keep any methods of elimination safe to the wildlife and environment surrounding the location. Most solutions for squirrel repellents are safe for children and pets especially designed traps. The important thing to remember when trying to get rid of squirrels is to remain patient. With patience, your efforts will finally win over these pesky creatures.